The overall issue and crisis communication plan will help an organization to deal with critical situation by establishing strategic management of public relations as an early warning system. Prevention is much better than cure. Why should wait for crisis until it happens. 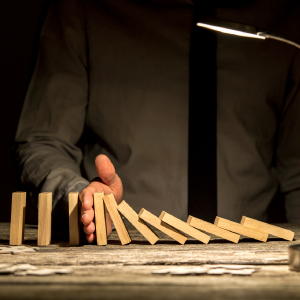 Risk, Issue and Crisis management is the process of assessing and communication the possible process to safeguard and bring benefits to an organization. Risk, issue, crisis, reputation and relationship management is the heart of public relations by analyzing the environmental surrounding of your business, internally and externally. Elizabeth is the only one figure in Indonesia who is consistent in developing public relations as a strategic management function. She has been rendering her professional services on public relations to government offices, multi-national companies and corporate world in form of counselling, consultancy and trainings for the last 20 years. Elizabeth established EGA briefings in 2001, focusing on sharing the conceptual framework, strategies and tips on communication management, public relations as a strategic management function. 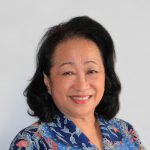 She initiated Public Relations Week Indonesia in 2005-2014. Later, in 2012 this campaign then substantially and geographically elaborates into the International Public Relations Summit, being the premier public relations conference in the Asian region. She was elected as the President of International Public Relations Association in 2010, being the only Indonesian for that prestigious position. Since 2005, she is the coordinator of MM Communication at Trisakti University. She strongly believes that only by understanding the Management’s perception on the core values of public relations as a strategic management function, thus public relations can work effectively in any organization. Copyright 2001-2017. EGA briefings - PT Ananto Adidaya Abadi.